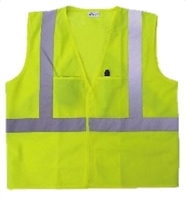 Flame resistant or Fire Resistant safety vests, also known as FR safety vests, are designed and manufactured within the stringent compliance guidelines and safety standards set forth by the National Fire Protection Association (NFPA) or the American Society for Testing and Materials (ASTM). 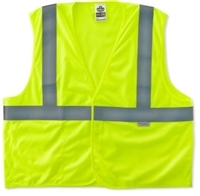 FR Safety Vest designs, components and materials will vary based on level of protection required for proper compliance to ASTM F1506, NFPA 2112 or NFPA 70E standards for fire resistance or arc flash protection. Professional Safety Supply is your place for all your safety clothes needs.